Liebesbotschaft International: Why I don’t have to leave the house on rainy Sundays anymore. Except when I want to. Why I don’t have to leave the house on rainy Sundays anymore. Except when I want to. If they can be topped at all, cool days are my favorites in the summer. I mean, apart from the sunny ones. And the rainy ones. And the stormy ones. What other people call “bad weather”, I call “Brittany weather”: a mix of clouds, wind, a little rain and sunshine reminds me of our trips to this beautiful area. 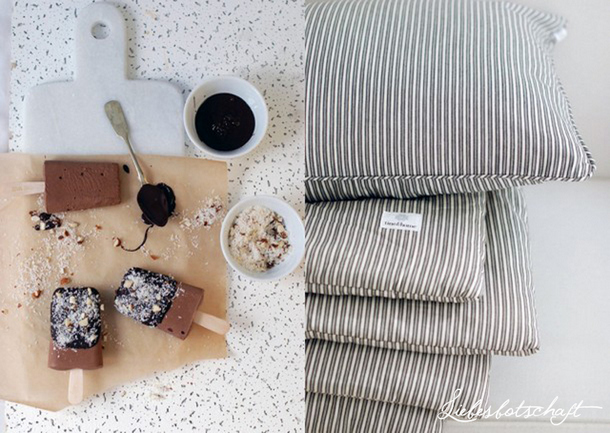 Apart from that, cool days are next to perfect for enjoying tea AND ice-cream at the same time! A few weeks ago my children and I started a pleasant Sunday ritual – if the day turns out to be cool or rainy we drive into town and have green or black tea at the Asian tea shop. 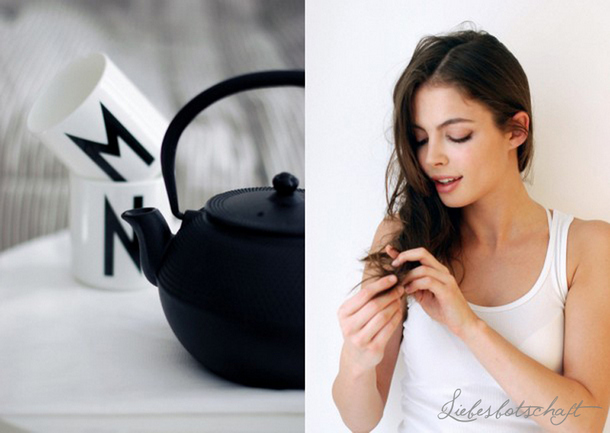 The tea is being served in a small, heavy, cast-iron teapot sitting on a bamboo tray – we talk about any trivia possible, and generally have a lot of fun. 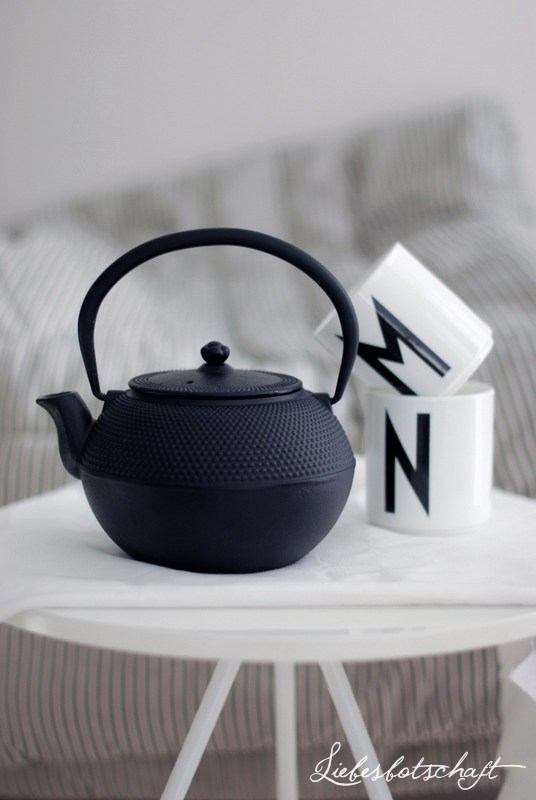 Noelle asked for that same type of teapot for at home, and after lengthy and futile searching for one on flea markets I found exactly the right one to order. Originally I meant to give it to her for her birthday, but I myself have zero patience in these matters (and usually am at least as thrilled as the gift’s recipient). 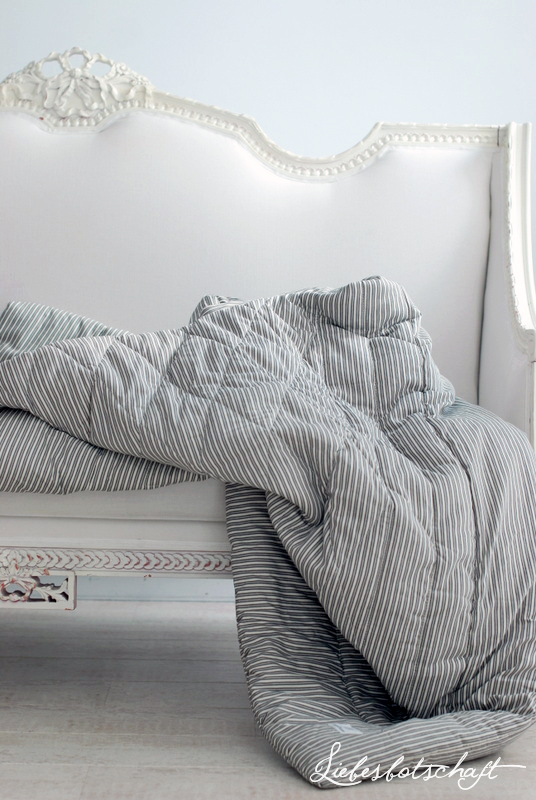 it is not only ideal on the couch, but also perfect for picnics, or as a light summer duvet for sleeping. On top of it, it is the “epitome of Bullerbü, Mama!” – if you ask the children they’d swear it was exactly these kinds of blankets that feature in Swedish children’s books. This is why I ordered another one in grey and white with matching big pillows – ideal for the Indian summer about to start! I took a few snapshots of Jil here and there – I don’t get the chance that often anymore ;). I’ll show you the rest another time! The ideal mix between chocolaty and creamy! It tastes so good that we could hardly wait until it was frozen properly, and I (yep, me) someone attacked it with a spoon straight from the container, when it was still partly in a half-liquid state. Bring milk and whipping cream to a boil in a casserole. Whisk egg yolks and sugar until light in color and frothy. Add the still warm cream mixture in a steady stream while whisking constantly. Return mixture to the casserole and put on the stovetop. While whisking vigorously let thicken slightly at 185 F (in other words: do not allow to boil!). Chop the chocolate and add to the warm mixture, let it melt while stirring. Freeze in an ice-cream maker and fill into molds. Place molds into freezer for a few hours. 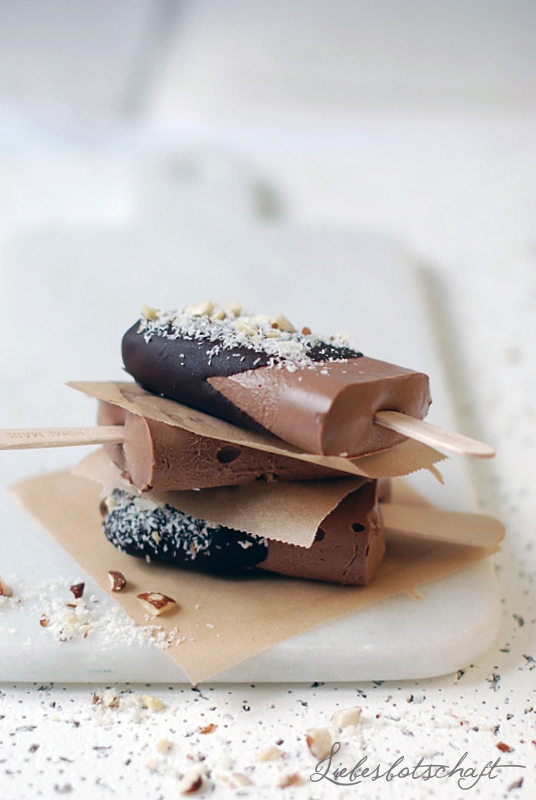 Once the ice-cream starts congealing add the popsicle sticks and leave molds in the freezer overnight. Briefly dip the molds into hot water, remove ice-cream and place onto a platter that has been lined with parchment paper. Place into freezer. For the glaze first chop and melt the chocolate. 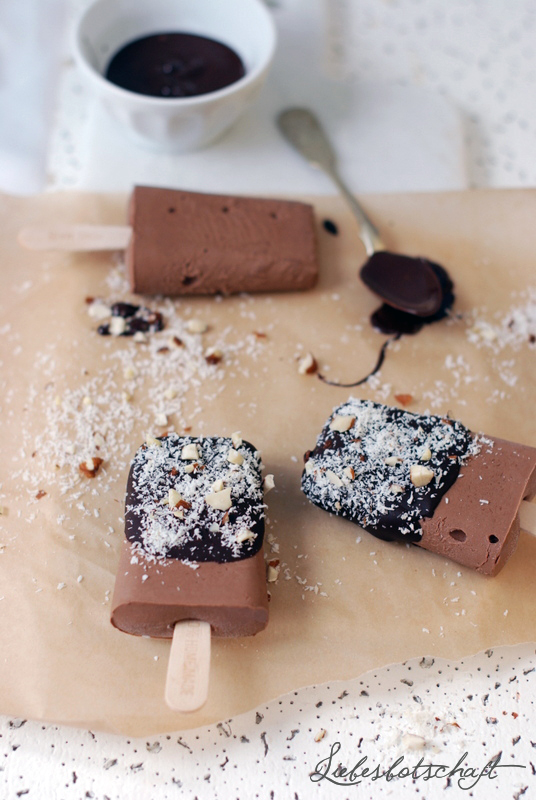 Dip ice-cream first into chocolate, then in coconut and nut mix. currently there is a 20% sales discount on all merchandise – the promotion continues until September 4, 2014!